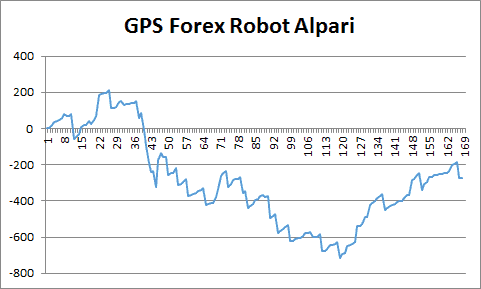 If you remember, some time ago I wrote about GPS Forex Robot. After discovering that it takes a gamble for recovering a bad trade by making a suicidal “all-in” one, I discarded it, then, closing the page I got one of those “wait, don’t leave” offers, where I could buy it for just $14. With such a discount I got an idea: what if I “flatten” every trade, disabling also the crazy recovery mode? Hey, where is the 700% gain? ?